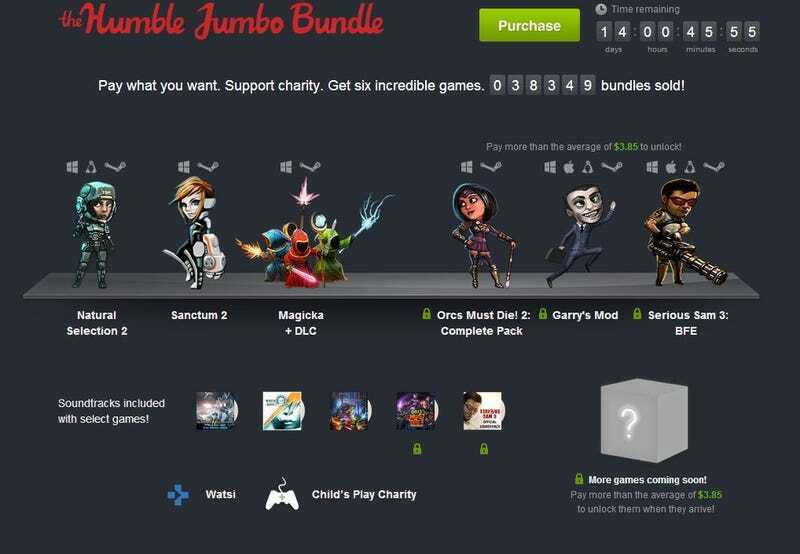 Holy Humble Jumbo Bundle Batman! Say that headline three times fast, then go get this utterly fantastic bundle for a very nice price. You may come away with a feeling of deep satisfaction for getting an excellent deal and supporting charity. Games, soundtracks, more games! WARNING: THIS MAY INCREASE YOUR ALREADY OBSCENE BACKLOG.